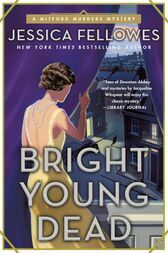 Set amid the legendary Mitford household, Bright Young Dead is the second in the thrilling, Golden Age-style Mitford Murders series by Jessica Fellowes, author of the New York Times bestselling Downton Abbey books. JESSICA FELLOWES is an author, journalist, and public speaker, best known for her official New York Times bestselling companion books to the Downton Abbey TV series. Former deputy director of Country Life, and columnist for the Mail on Sunday, she has written for the Daily Telegraph, the Guardian, The Sunday Times, andThe Lady. Jessica has spoken at events across the UK and US, and has made numerous appearances on radio and television. She lives in Oxfordshire with her family.